Monitor storm rainfall and streamflow runoff, do forecast modeling, and advise the Sheriff’s Office of Emergency Services on the potential for flood damages in the County. Perform sediment yield calculations (especially after fires). 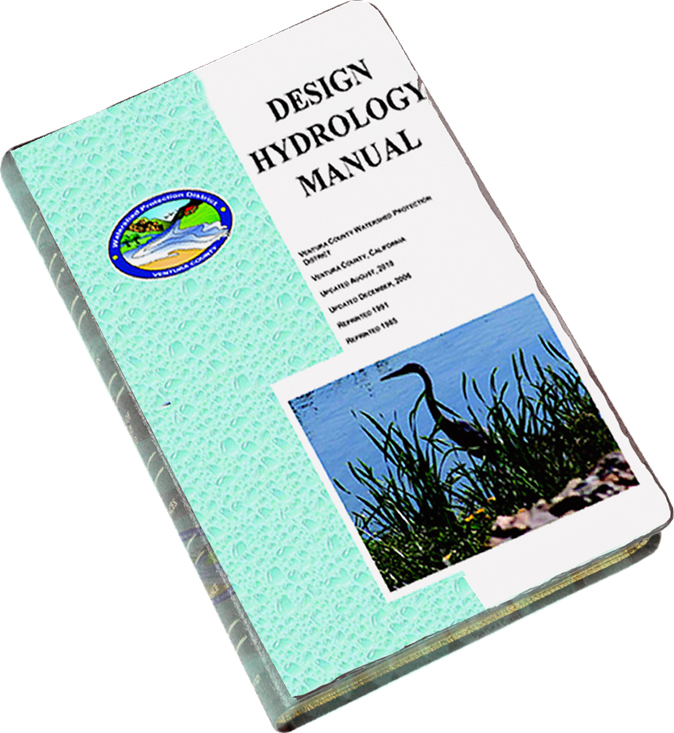 Maintain and update flood facility construction or maintenance manuals and various reports describing our design procedures and hydrology programs. The Historical Rainfall and Streamflow Data site contains finalized reports and preliminary data for the rain and stream gages and evaporation stations solely operated by VCWPD, or in conjunction with the USGS and other agencies. Please read our Frequently Asked Questions file included on the data home page for detailed information about the data website and what it provides. The Current Storm Information page provides snapshots of real-time data collected by our gage network. These data provide current rainfall totals, stream gage plots, and weather information. Please see the 2017 update of the VCWPD Hydrology Manual and our design hydrology programs through the above link. In general, peak flows from urban and small undeveloped watersheds for use in channel design can be evaluated using our modified rational method and programs (VCRat 2.64, TC Calculator). Peak flows and hydrographs for regional facility design can be evaluated using the calibrated S-Graph developed from 2005 storm data using HEC-HMS. Other peak flow design methods that have been used to evaluate floodplains include the results from flow frequency analyses and inserting design storm rainfall in continuous models such as HSPF. For information on these advanced methods, please contact the Hydrology Section at (805) 654-2069 or email your request to HydroData@ventura.org.